Our newest property located at 1638 East Shore Drive, Ithaca! Historic charm with modern amenities on the shores of Owasco Lake. Perfect for weddings and corporate events. Full-service catering at it's best! A leader in the industry, H&J Hospitality prides itself on thoughtful, flexible menus, gracious service and keen attention to detail. Serving the entire Eastern Finger Lakes region, our team of talented professionals is ready to help! Where it all began...H&J Hospitality bought and re-furbished this Ithaca Landmark in 2005 after it had remained closed for nearly five years. 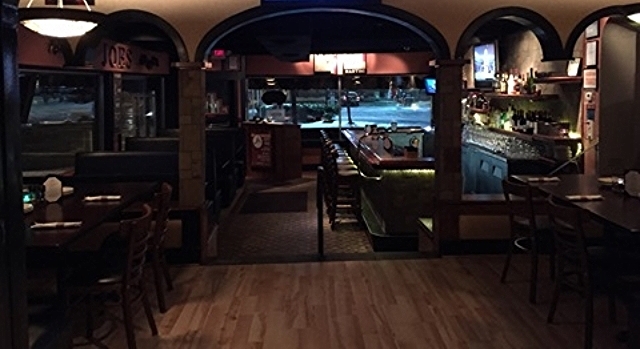 Bring the family in for some flat-bread pizzas or take a seat at the original bar and enjoy half-priced appetizers!! Join us at Joe's for Paint Nite! Visit www.paintnite.com for more details! Call us at (607) 882-9609, email catering@hjhospitality.com or fill out the form below to get started. Nice to hear from you! We promise to get back to you soon!! !